Why Was The Quran Compiled Into A Book? Who gave the instructions to compile the Quran into a book? The Prophet Muhammad never gave any such command while he was alive. There was no such instructions from Allah during Muhammad’s lifetime. 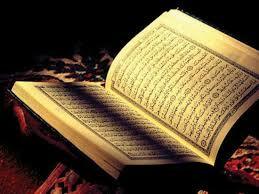 The Quran then only existed in the memories of the reciters and some parts were written on stones, bones and leaves. WHO made the suggestion to compile the Quran into a book? And this was years after Muhammad had died, so it wasn’t from Muhammad, the last prophet, and not from Allah. The man was Umar ibn ibn Al-Khattāb. He was a close sahaba (companion) of the Prophet. (He would later go on to become the second caliph after Abu Bakr). Umar got this idea because many of the reciters died in battle and he feared the the words of the Quran would be lost. So he suggested his idea to Abu Bakr, the closest companion of Muhammad. Abu Bakr was shocked and said, “‘How can I do something which Allah’s apostle has not done?” But Umar kept on arguing until Abu Bakr was persuaded. Then they went to get Muhammad’s personal scribe to be involved in the project, Zaid ibn Thabit. What was Zaid’s initial reaction? Zaid said, “How dare you do a thing which the Prophet has not done?” They argued until they persuaded him. The reactions of Abu Bakr and Zaid Ibn Thabit tell us that Muhammad had no intentions for the Quran to be compiled into a book but to remain in the memories of the reciters. Look at the Quran you hold in your hands. The words came from Allah but compiling it into a book was not Muhammad’s intention nor Allah’s command. If it was, then the instructions would have been given during Muhammad’s lifetime. Umar thought up the idea. Umar was not a prophet, but a companion of the prophet. Another question that comes to mind is why isn’t the Quran arranged in the order that the verses were originally revealed to the Prophet? In the Quran itself Allah says to Muhammad: “We have rehearsed it to you in slow, well-arranged stages, gradually” (Surah 25.32) ; meaning that the Quran was to be well-arranged and revealed in stages gradually and in order. That would have made more sense. But instead it was arranged according to the length of the chapters! Did Umar and Abu Bakr and Zaid make a mistake in the well-arranged order of the revelations that Allah gave to Muhammad? They were not prophets and they did not have a divine right to compile the Quran in the way they did. Ultimately, were they right or wrong? Unfortunately, the Prophet was no longer around to approve or disapprove of what they had done to the words of Allah.